The adventures of a crafty, vegan, college student! 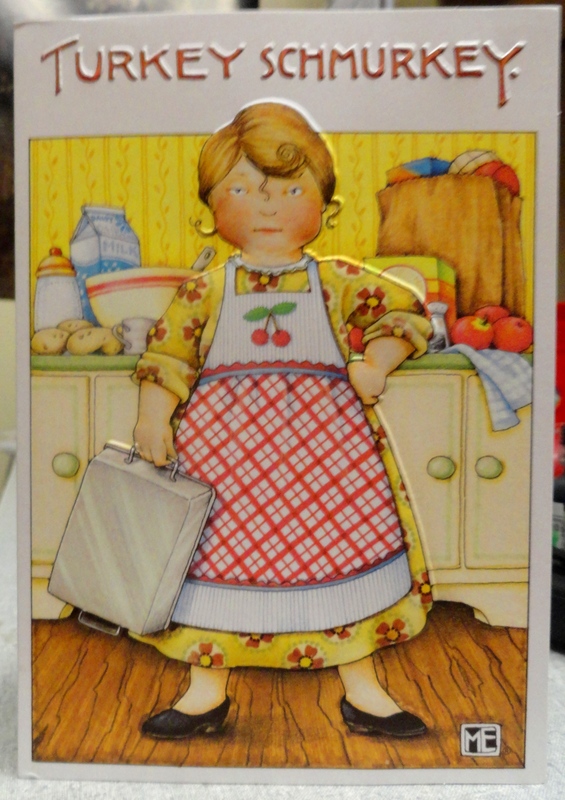 Thanksgiving – Pigs, Cards, and Cake! I hope everyone had a wonderful Thanksgiving and survived Black Friday (if you dared to venture out). Now is the time to begin prepping for Christmas, and since I’ve decided every one of my gifts will be homemade, I need to get to work asap. But there is no need to skip Thanksgiving, like many major store chains seem to be fine with doing. It should get just as much air-time as Christmas. 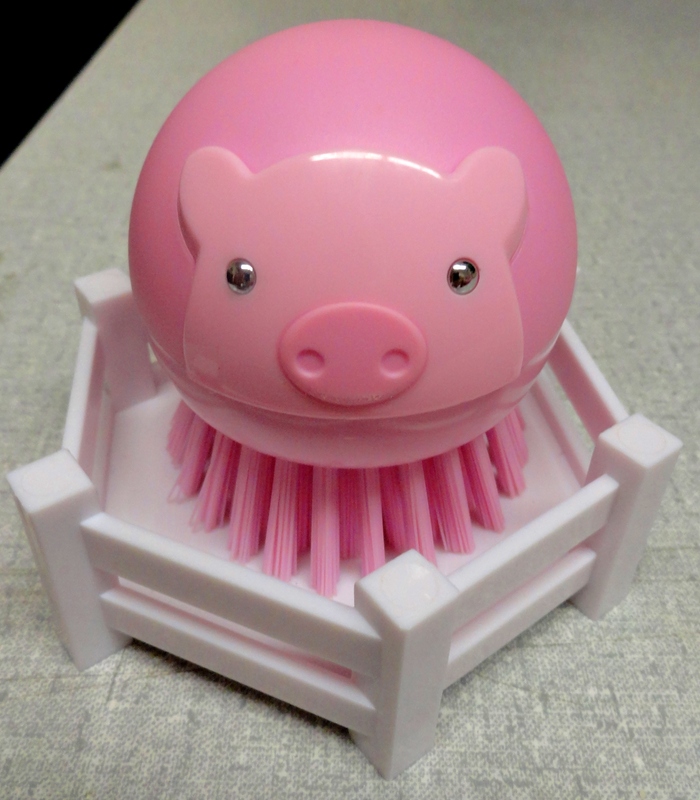 I love this little piggie, and it makes the annoying chore of washing dishes much more pleasant. It says “Go stuff yourself!” inside. What a cute and vegan-friendly card. 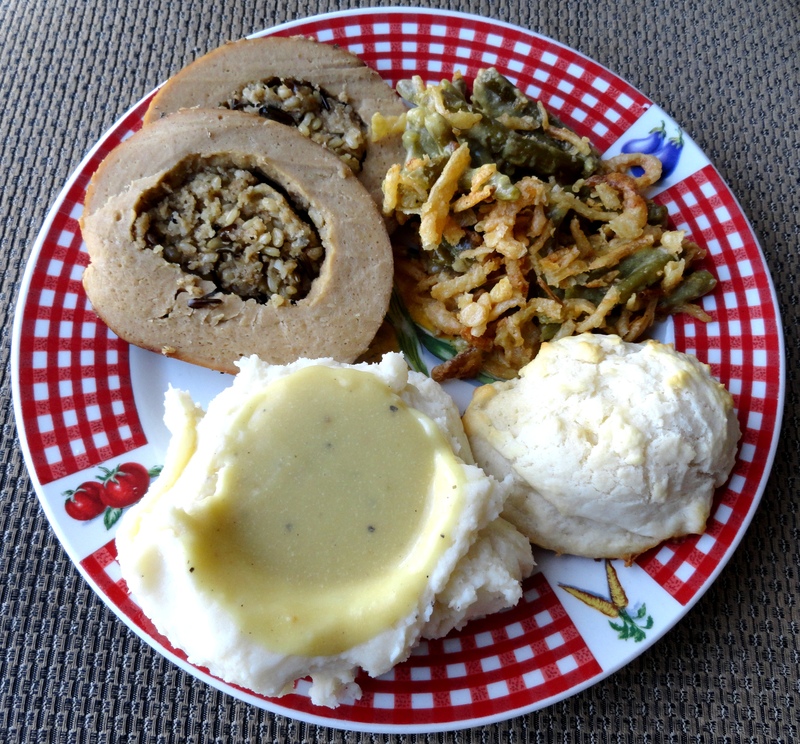 For our Thanksgiving meal we had Tofurky roast, mashed potatoes topped with “poultry gravy”, green bean casserole, and buttery Bisquick biscuits. 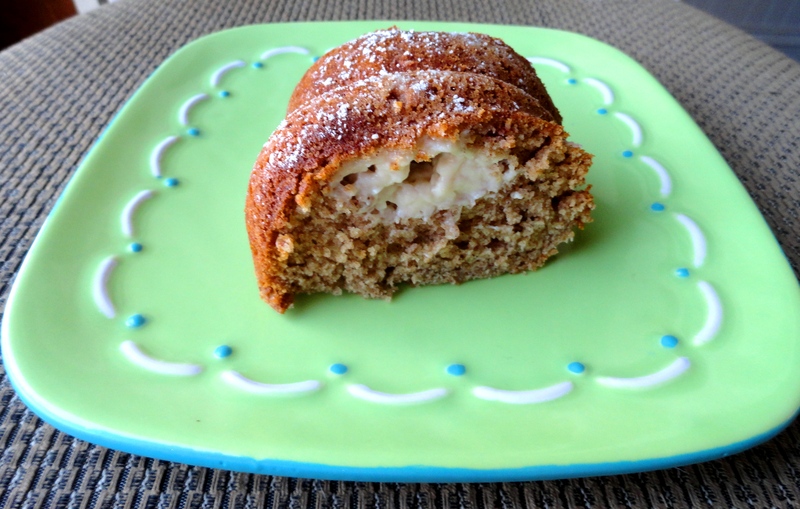 For dessert we had cream-filled gingerbread bundt cake. 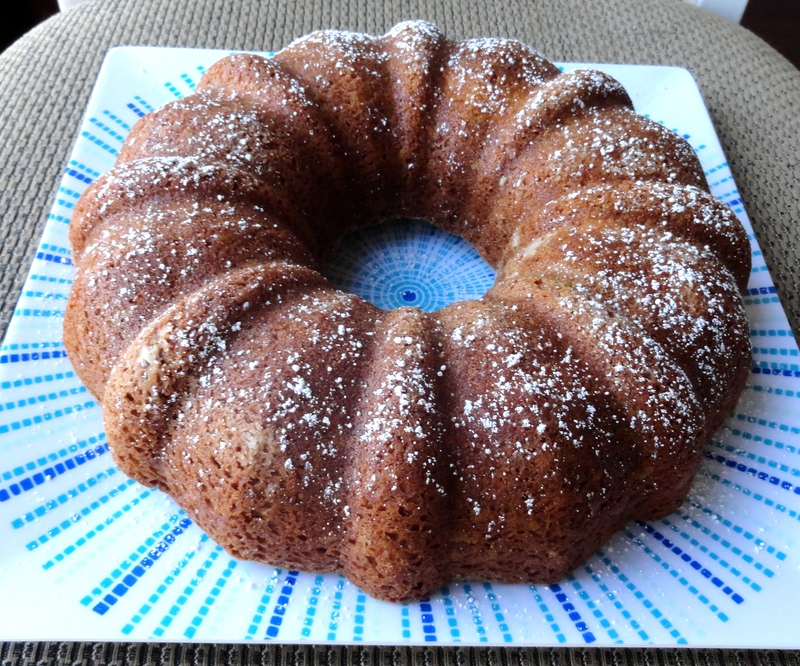 This was the first bundt cake I’ve ever made and I was quite pleased with how it came out. I looooved the cake’s cream “cheese” filling and how it coordinated with the spices in the cake. It was a tad dry, but I think I may have just baked it for too long. Peter’s family also had Thanksgiving celebrations later in the week. I brought another Tofurky roast with some mushroom gravy (which I didn’t bother to photograph) and a lemon-berry cheez cake. 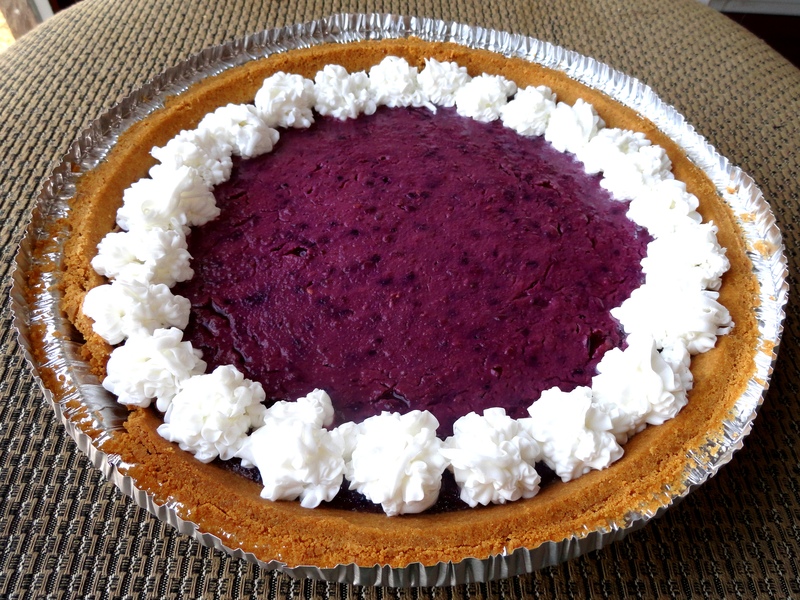 When I went vegan I was afraid that I would have to give up many of the foods I loved, including cheesecake. But then I discovered silken tofu! Like most tofu, it’s tasteless and white, but with a soft and creamy texture. When you mix it with other tasty ingredients and bake it in a pie shell it ends up with the texture and taste of cheesecake! I’ve been experimenting with this recipe for while and I’ve finally got it how I like it. 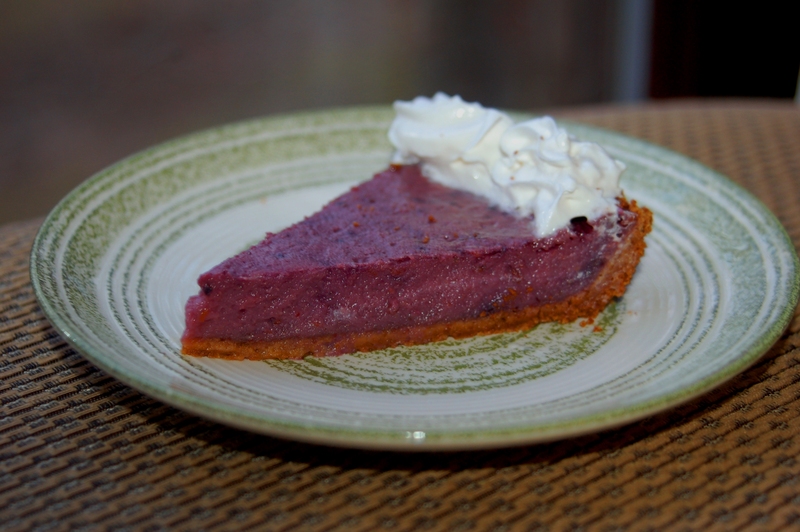 In a food processor, combine silken tofu, mixed berries and strawberries. Process until smooth. You’ll probably have to scrape down the sides a few times to make sure everything is combined. Add constarch and lemon extract, then blend until smooth. Then pour in the sugar and (for the last time, I promise) combine until smooth. 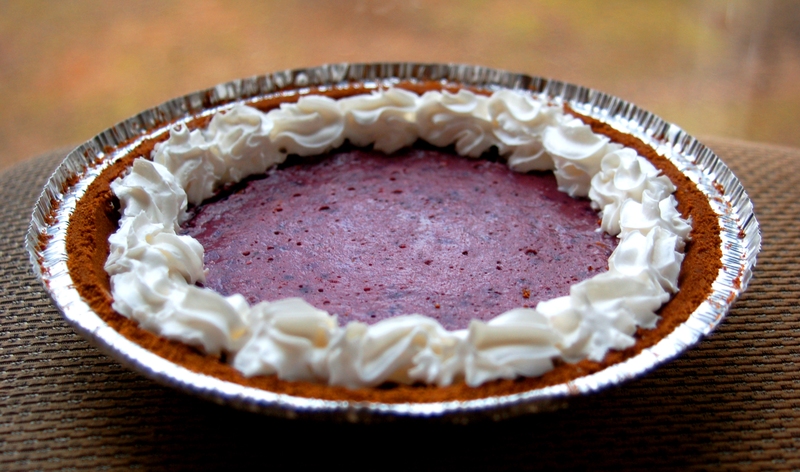 Pour the tofu/berry mixture into the pie crust. Put the pie into the heated oven and bake for 1 hour and 10 minutes, or until a toothpick comes out clean when inserted into the middle. Chill for at least 5 hours, then slice and serve! Feel free to garnish with vegan whipped cream.